This book is the companion volume to Design of High Strength Steel Reinforced Concrete Columns – A Eurocode 4 Approach. 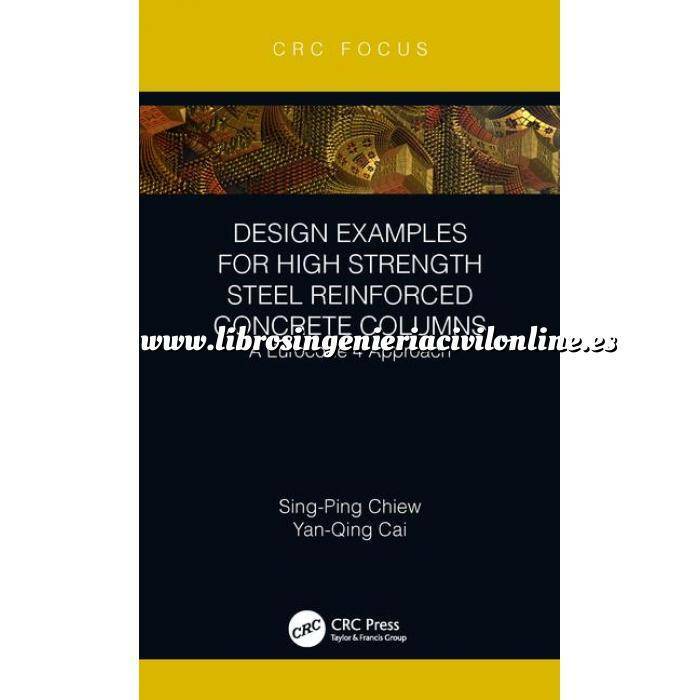 This book provides a large number of worked examples for the design of high strength steel reinforced concrete (SRC) columns. It is based on the Eurocode 4 approach, but goes beyond this to give much needed guidance on the narrower range of permitted concrete and steel material strengths in comparison to EC2 and EC3, and the better ductility and buckling resistance of SRC columns compared to steel or reinforced concrete. Special considerations are given to resistance calculations that maximize the full strength of the materials, with concrete cylinder strength up to 90 N/mm2, yield strength of structural steel up to 690 N/mm2 and yield strength of reinforcing steel up to 600 N/mm2 respectively. These examples build on the design principles set out in the companion volume, allowing the readers to practice and understand the EC4 methodology easily. 1. SRC Column Subjected to Axial Compression. 1.1 SRC Column with Normal Strength Material. 1.2 SRC Column with High Strength Concrete. 1.3 SRC Column with High Strength Steel. 1.4 SRC Column with High Strength Concrete and Steel. 2. SRC Column Subjected to Combined Compression and Bending. 2.1 SRC Column with Normal Strength Material. 2.2 SRC Column with High strength Concrete. 2.3 SRC Column with High Strength Steel. 2.4 SRC Column with High Strength Materials. 3. SRC Column with Different Degree of Confinement. B.1 Design for SRC Column Subjected to Axial Compression. B.2 Design for SRC Column Subjected to Combined Compression and Bending.